Most audiophiles know Pro-Ject Audio Systems as a maker of turntables. Indeed, more than any manufacturer, Vienna-based Pro-Ject is responsible for the vinyl revival. This Lilliputian component, only 4.1” square by 1.5” high, has built-in client software for Qobuz, Spotify Connect, and Tidal -- it can be used to stream music from any of those services. With Spotify, you can control the Stream Box S2 from the Spotify app on your mobile device. There’s also a Shoutcast client, for listening to Internet Radio. The little component can also function as a Roon endpoint. The S2 Ultra can play music from an attached USB drive, as well as NAS (network-attached storage) devices. (I don’t have a NAS, so I didn’t test that capability.) It supports AirPlay, for playing music over Wi-Fi from an iOS device, or from an iTunes library on a PC or Mac. You can also stream music from a smart device via Bluetooth. Finally, you can stream music to the Stream Box from servers and applications that support UPnP/DLNA. Something the Stream Box S2 Ultra does not have is a built-in DAC; it’s a digital source component. Its only output connector is a USB port, for connection to a USB DAC. It can output PCM audio to 32-bit/352.8kHz, and up to DSD256. The Stream Box S2 Ultra has one more feature: USB Detox, which Pro-Ject says removes noise from the USB feed when playing music from a PC or Mac. But when USB Detox is active, the Stream Box can’t be used to stream or play music from an attached USB drive. On the back of the Stream Box S2 Ultra are two USB ports: one for output to a DAC, the other for connecting a USB drive (there’s also a USB port for connecting a drive on the front panel). On the right rear is a Micro-USB port labeled Bypass, to be used for the USB Detox function. The HDMI port is for connecting a monitor for displaying the user interface, but unless the monitor is a touchscreen, or is connected to a mouse and keyboard, you’ll need to use another device (PC, smartphone, tablet) to control the Stream Box. I didn’t use this feature in my tests, opting instead to control the Stream Box from my iPad Mini. After unboxing the Stream Box S2 Ultra and plugging in its wall-wart power supply, your first task is to get it onto your home network. With a wired connection, that’s easy-peasy: Connect a network cable from your router to the Stream Box’s Ethernet port, and you’re done. Connecting the Stream Box via Wi-Fi is a little more involved. After attaching the supplied Wi-Fi antenna, open the Settings app on your smart device and go to the Wi-Fi menu. You’ll see Stream Box S2 Ultra listed as one of the available networks (it may take a minute or so to show up). Select that network and you’ll be taken to the Stream Box’s configuration menu, where you enter your preferred language, home network information, and other parameters. If you’ve ever added a device to your home network, this will be familiar territory. Even if you haven’t, you’ll find the process quite simple, as it’s laid out very methodically. Essentially, the Stream Box S2 Ultra is a Raspberry Pi computer running a suite of open-source software. The little box serves up a Web interface that you use to select music and control playback. As the manual states, the interface can be accessed from a browser in Windows, macOS, iOS, or Android. But especially with Android and Windows, accessing the interface via a browser is kind of kludgy. The easiest way to operate the Stream Box is with the Pro-Ject Play app for iOS or Android. So after getting the Stream Box on your home network, your next step should be to download Pro-Ject Play from Apple’s App Store or the Google Play store. That done, it’s a good idea to check for firmware updates. Do this by tapping the little gear icon to enter the Settings menu, then select System. Select the Check Updates option to download the latest software for the Stream Box. When I did this, the progress bar froze after the app said that the download was 30% complete. Losing patience after 20 minutes, I closed and reopened Pro-Ject Play. Going back to the System option in the Settings menu, I saw that the Stream Box S2 Ultra was indeed running the new software. If I’d waited until the app showed that the update was complete, I’d now be covered in cobwebs -- and you’d never read this review. You can add streaming services to the Stream Box S2 Ultra by selecting My Music in Pro-Ject Play’s Settings menu. In the following screen, you can add a network drive (if that’s where you store music), and enter login information for Qobuz, Spotify, and Tidal. After entering your username and password, you can also specify the sound quality for each service (e.g., lossy, lossless, hi-rez). Configuration completed, your streaming services should now appear on Pro-Ject Play’s home screen, along with Bluetooth, Web radio, Music Library (which gives you access to music on attached USB and network drives), and Shairport Sync (which enables Apple AirPlay support). For this review, I loaded up an Adata 256GB solid-state drive (SSD) with a variety of CD-resolution and hi-rez albums (including some in DSD), and connected it to the USB port on the back of the Stream Box S2 Ultra. The Music Library software wouldn’t display album art for most of my albums even though they’re properly tagged, with embedded art. More annoyingly, it listed my albums by folder name rather than by tagged metadata (i.e., by artist or album name). Pro-Ject says it’s working on a software update to Music Library that will permit sorting by album name, artist name, album artist, or file structure. With the Stream Box interface, you don’t get the full array of functions you get in the desktop apps for your streaming services, but you do get a pretty comprehensive subset of these features. The Stream Box’s Tidal client will show new albums in your choice of genre. If you find something you like, you can play it, add it to a playlist, or add it to your favorites by clicking the little three-dot function icon on the album listing. Under My Music you can see albums you’ve designated as favorites, sorted alphabetically or by added date, release date, or artist name. One annoyance: in the added-date view, Pro-Ject Play continues to show albums in Tidal’s My Music collection even after you’ve deleted them. The Qobuz client has many of the features I like about that service, including Press Awards. However, you can’t specify genre; and the Press Awards function doesn’t show the source of the award. Even more seriously, after working satisfactorily for several weeks, the Qobuz client suddenly refused to play most of the albums I’d designated as Favorites. Pro-Ject Play would display my Qobuz Favorites, but when I selected an album, it wouldn’t display -- or play -- the tracks on the album. Given the sudden appearance of this problem, it could have happened because of a change implemented by Qobuz. Whatever the source, Pro-Ject says it will be fixed in the next software update. The Web radio feature works well. You can view stations by genre or country, and designate your favorites for easy recall. AirPlay support, too, is solid. To activate this feature, select Shairport Sync in Pro-Ject Play’s home screen. The Stream Box S2 Ultra will then show up as an AirPlay option on your iOS device. Just as solid is Bluetooth: Select that option in Pro-Ject Play’s home menu and the Stream Box will appear as a Bluetooth device on your phone or tablet. If you want a more polished interface, you can use the Stream Box as a Roon endpoint. In my setup, a Mac Mini in my home office serves as the Roon Core, and the S2 Ultra was one of several output devices. Roon support was enabled near the end of my review period. This is an expensive option -- Roon costs $119 annually, or $499 for a lifetime subscription. I ran into one wrinkle with Roon. When I had the Stream Box connected to my home network via Wi-Fi, playback would often stop a minute or so into the track, and skip to the next track a moment later. This pattern would repeat on the next track, and the one after that. The fix was simple: I hardwired the Stream Box to one of my Google Wifi access points. After that, Roon worked fine. It’s worth noting that the Stream Box always worked fine playing from Tidal over Wi-Fi; and Qobuz was fine too, other than the problems I had viewing and playing favorite albums. I’ll file these Roon issues away in my “Networking WTF?” folder, which is very full. You can read more on this subject in my “How I Simplifi’d My Wi-Fi” feature. I couldn’t get UPnP/DLNA streaming to work, but this is a notoriously temperamental standard. The Audirvana music-player app I use on my Mac Mini showed the Stream Box as a UPnP output device. I could select music from the A+ Remote iPad app I use to control Audirvana, and tell it to stream that music to the Stream Box -- but it wouldn’t play. For my listening tests, I used a 2m-long AudioQuest Cinnamon USB link to connect the Stream Box S2 Ultra to Kii Audio’s Kii Control, a small interface/preamp box that works with the fabulous Kii Three DSP-controlled active speakers ($16,995/pair in standard finishes, plus $1995 for the Kii Control), which I recently reviewed for this site. So how did this little component sound? At the risk of sounding facetious, I’d say it sounded like the file it was playing and the amp and speakers it was playing it through. But it’s easier to describe the sound of a digital source component by comparing it to something else. Pro-Ject’s Stream Box S2 Ultra network bridge shares many features with the Bluesound Node 2i streaming preamplifier ($499). Both have built-in Wi-Fi and Bluetooth, both can be used as Roon endpoints, both can stream hi-rez audio from Qobuz and Tidal, and both can play music on attached USB drives. Despite its lower price, the Bluesound Node 2i has many features the Stream Box lacks, including a built-in DAC. 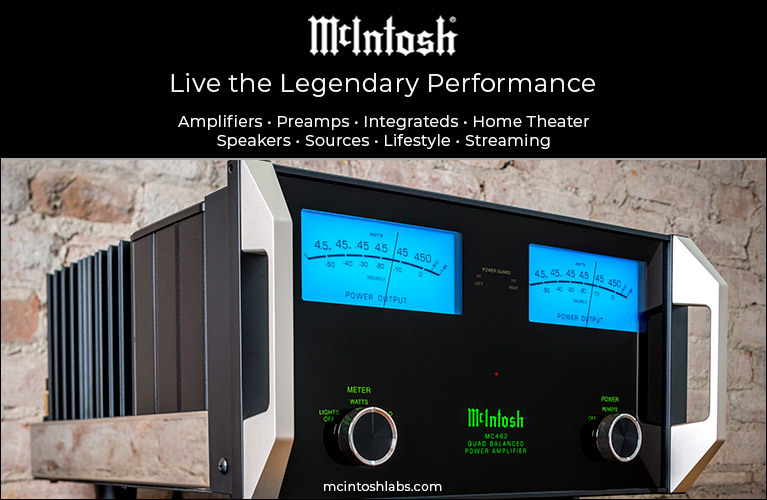 Along with coaxial S/PDIF digital output, it has analog line-level output for connection to an amplifier or powered speakers. It also has a headphone output jack, as well as Bluetooth wireless output. And it supports many more streaming services than the Pro-Ject does. Both components can be used for wireless whole-house music. But the Bluesound ecosystem is far more extensive, encompassing powered tabletop speakers, streaming amplifiers, and a soundbar under the Bluesound brand, plus other components under its sister brand NAD. Other manufacturers are adopting the technology as well, including DALI, whose Callisto 2 C active speakers I recently reviewed for this site. Moreover, Bluesound has a solid, well-tested software platform. 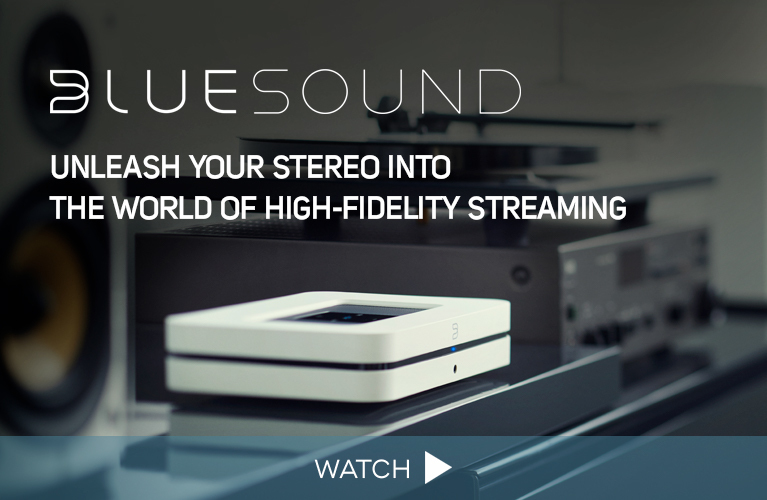 Developed in-house by Lenbrook International (parent company of Bluesound, NAD, PSB), BluOS is considerably more polished than the Stream Box’s open-source software. That said, Pro-Ject’s software is solid and, except for a few minor and fixable bugs, works well. I didn’t have a Bluesound Node 2i on hand for this review, but I did have a Vault 2i ($1199), which also functions as a CD ripper and music server. Its audio circuitry is the same as the Node 2i’s, which made for an interesting comparison. I used a 5m AudioQuest Carbon coaxial S/PDIF cable to connect the Vault 2i to the Kii Control’s coaxial input. Unlike the Node 2i (and other Bluesound components), the Vault 2i doesn’t have built-in Wi-Fi, so I connected it to my home network via a Google Wifi access point. After cuing up a couple of favorite high-rez downloads, I was able to make instantaneous comparisons by switching between the coaxial and USB inputs on the Kii Control. Musique d’Entracte: Almost Forgotten Masterpieces is a delightful album of works by Erik Satie arranged for clarinet, cello, and piano by the Japanese pianist Fumio Yasuda, in celebration of the 150th anniversary of the composer’s birth (24-bit/96kHz FLAC, Winter & Winter). Cinéma is an absurdist romp, with a circus-y march punctuated by weird effects by clarinetist Joachim Badenhorst and cellist Julie Läderach. Alternating between the two components, I can’t say I heard any meaningful difference. The next album was a 2014 live recording of Camille Saint-Saëns’s Symphony 3, by the London Philharmonic Orchestra under Yannick Nézet-Séguin (24/96 FLAC, LPO). The final movement opens with massive pipe-organ chords, here played by James O’Donnell, alternating with a fugal subject in the orchestral strings. The main theme enters magically, played quietly by the violins accompanied by solo piano. A minute in, the theme is picked up by the entire orchestra, punctuated by organ and trumpet fanfares, followed by five minutes of pure celebration. I heard no meaningful differences between the Bluesound and Pro-Ject components with this massive work. While both devices support hi-rez audio, there are important differences. The Stream Box S2 Ultra will play DSD files; the Vault 2i (and other Bluesound components) will not. If, like me, you’re one of the small group of audiophiles who own collections of DSD recordings, this might be decisive. On the other hand, the Bluesound product provides better support for MQA. When streaming from Tidal, the Stream Box S2 Ultra won’t perform the first “unfolding” of MQA-encoded hi-rez content. To play hi-rez from Tidal, it needs to be connected to a DAC with MQA hardware decoding, such as Pro-Ject’s Pre Box S2 Digital ($399) -- a popular pairing, Pro-Ject claims. Bluesound components perform the first unfolding of MQA content in software. 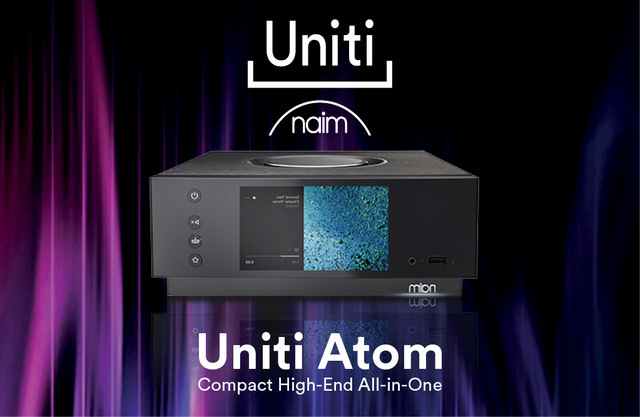 So if you use a digital output to connect it to a non-MQA component (such as the Kii system), you’ll get hi-rez audio, up to a maximum resolution of 24/88.2 or 24/96. If you use the analog line-level output, or if you connect it to a DAC able to render MQA, you’ll get full MQA decoding. Streaming from Tidal the title track of Wolfgang Muthspiel’s Where the River Goes (24/96 MQA, ECM), I preferred hearing this all-star jazz quintet via the Vault 2i, which was doing MQA core decoding, than from the Stream Box S2 Ultra, which was not. The sound was more spacious and refined through the Vault 2i: Ambrose Akinmusire’s trumpet had more sheen, and Brad Mehldau’s piano had greater harmonic richness. It wasn’t a huge difference, but it was there. Of course, none of that applies if you’re pairing the Stream Box with an MQA-capable DAC. An advantage of computer audio over a dedicated streamer like the Stream Box S2 Ultra is that users have their choice of music software -- you don’t have to use the player packaged with the product. Moreover, the software for Windows PCs and Macs is often richer, more functional, and more robust than the players in CE components. But manufacturers of components like the Stream Box say that their products are engineered specifically for audio, and so have sonic advantages over general-purpose computers. And I did hear differences between the Stream Box S2 Ultra and my MacBook Pro running Audirvana 3.2.12 music software. Both were connected to the Kii Control with the same 2m AudioQuest Cinnamon USB link. In Satie’s Cinéma, the piano -- it sounds like a late-19th-century instrument -- had richer overtones through the Stream Box. The reproduction of space through the Mac was flatter, more two-dimensional. In Saint-Saëns’s Organ Symphony, orchestral textures were more transparent through the Stream Box, more opaque through the MacBook Pro. But these differences weren’t huge, and certainly not enough to overcome the superior functionality and usability of the Mac and Audirvana. But with Pro-Ject’s USB Detox feature you can have your cake and eat it, too. As per the instructions, I connected my MacBook Pro to the Micro-USB Bypass input on the Stream Box S2 Ultra, whose DAC output was connected to the USB input on the Kii Control, then pressed the PC/USB button on the Stream Box to activate the feature. In the Satie, overtones were richer, and the overall sound was less glary and harsh. In the Saint-Saëns, USB Detox opened up orchestral textures and spaciousness. It wasn’t a night-and-day difference, but it was enough to move the MacBook and Audirvana into a virtual sonic tie with the Stream Box. I’ve outlined a few software and networking issues, but I don’t think any of them is a deal-breaker. In any event, most of them can be rectified through software updates. Throughout the review period, I was in close contact with the Stream Box S2 Ultra’s development team. They were clearly on top of every issue I raised, and just as clearly committed to improving the product. As it stands, it’s a solid component. And the fact that it’s software-driven means that you can confidently expect it to improve over time.